Come to the seaside and learn English or Italian! Do sports and activities with other international students and have a fun study holiday in Lignano, Italy, the land of Leonardo da Vinci! The MB International Summer Camp is a Europe Camp hosted in a residential center with 60 hectares of pine forest with a 1,2 Km stretch of private beach in Lignano Sabbiadoro, a renowned and popular Summer Holiday resort 80 Km north of Venice. In addition to the morning lessons with qualified mother-tongue teachers, your children will share a bedroom with someone of another nationality and, in the afternoons, for all the recreational activities and sports they will have to use the foreign language to speak to their companions. MB International Summer Camp offers two different programs, one for Juniors (from 8 to 15 years old) and one for Young Adults (from 16 to 20 years old). During their stay in Lignano, Italian and foreign children attend an English or Italian language course run by qualified mother-tongue teachers in the morning (with a total amount of 20 lessons per week). In the afternoon, they can take part in a variety of youth sporting activities also using the great expanse of private beach available, together with children of other nationalities in the same age group, so that they can practise the language skills they have learnt in the morning. The exclusive feature of our Summer Camp in Lignano Sabbiadoro lies in that the children and adolescents are all immersed in a multicultural environment, together with foreign children coming from nearly one dozen different countries, who come and study Italian and get to know their Italian peers. Thus, during the Europe camp, children learn the language from a new perspective: not just as a boring school subject, but as an important mean of communication with new friends and a chance to discover new cultures. MB International Summer Camp for young adults combines Italian or English language tuition with a choice of sports, activities, and excursions in the fully equipped residential village of Villaggio Adriatico. This program has been introduced to meet the preferences of young adults while also satisfying the needs of their parents. Ideal for students: You are given the independence to do what you prefer outside of lessons. Whether this involves relaxing on the beach or taking part in one of the many sports, activities or excursions on offer, it’s your choice! If you wish to leave the village unsupervised your parents must send written authorization upon enrolment. Ideal for parents: While your son or daughter is away in the Europe Camp in Lignano you have peace of mind that he/she is staying in a secure environment with full-time supervision and support from MB staff. Your child will not be allowed to leave the village unsupervised unless you give written authorization when he/she enrolls. In this situation, we expect him/her to keep MB staff informed of his/her whereabouts and to return to the village by midnight. Children learn by playing with other children, so it is fundamental for their youth to exploit every opportunity to let them play with other children who speak another language. Unfortunately, for people living in their home country, the opportunities are rather limited and that is why MB has created its International Summer Camp: to give your children the opportunity to play and practice sports with other foreign children in an international environment. Internationality, sports, games, sun, sea, and fun are the most important ingredients for a unique and unforgettable experience for your children at the start of the school holidays. Medical insurance is included in the price for Italian Residents. For the others available at an extra cost. Jump into the 2019 Edition and book now! 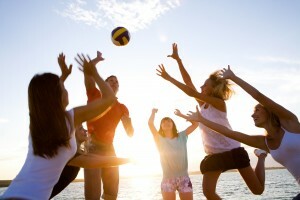 Students’ safety and satisfaction in their youth activities are the priority for MB. We run a program where every children or teenager can feel themselves at home. It is important for us that every need and request are listened and welcomed, in order that everyone enjoys their stay at the Village, learning a new language and sport, making new international friends. Some students decide to enroll for more than one time, as they have had a great experience the Summer before. 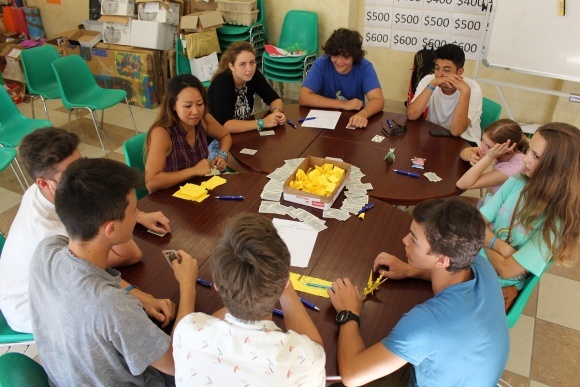 Read what past students say about MB International Summer Camp in Lignano Sabbiadoro!